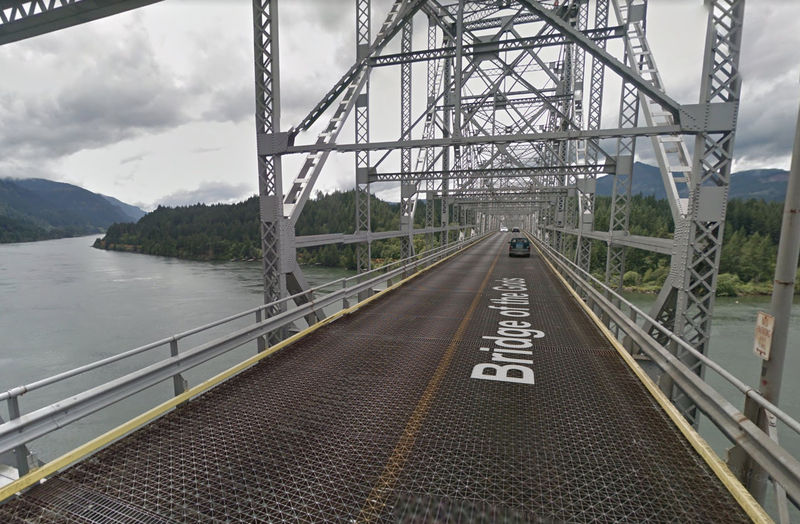 This looks even more amazing if you’ve ever been across the bridge in its current form. 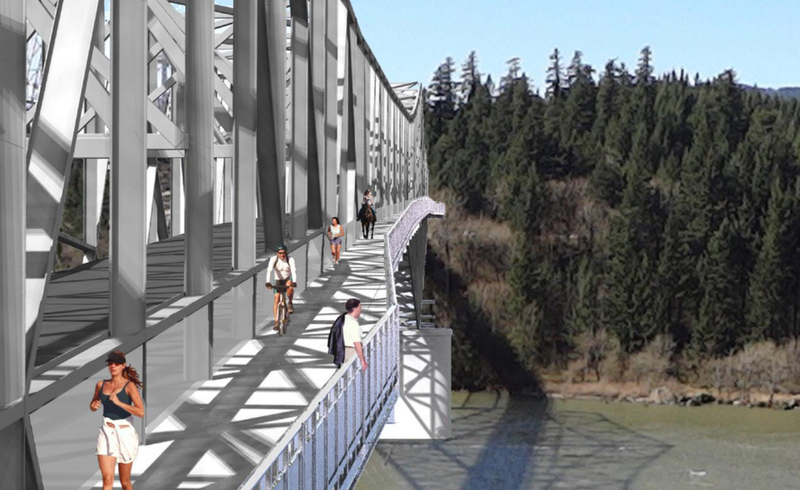 A biking and walking path on the Bridge of the Gods took a big step forward last month. 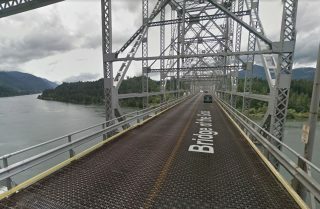 In March, the Port of Cascade Locks and the Pacific Coast Trail Association (in cooperation with the United States Forest Service, Washington Department of Transportation, Friends of the Columbia Gorge, and City of Stevenson, WA) turned in a proposal (PDF) to the Federal Highway Administration requesting $934,000 for a planning study that would lead to the construction of the project. 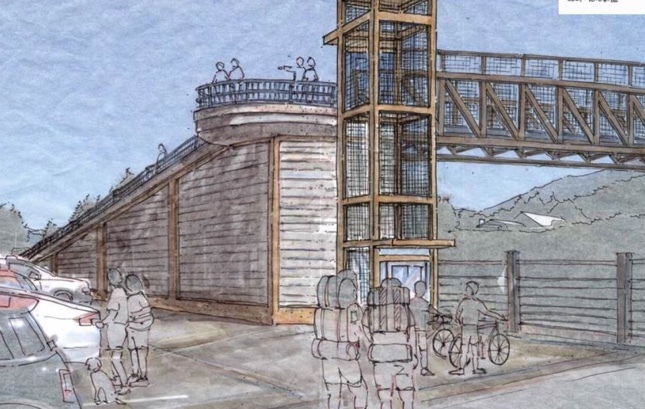 One of three options would include a ramp and an elevator. 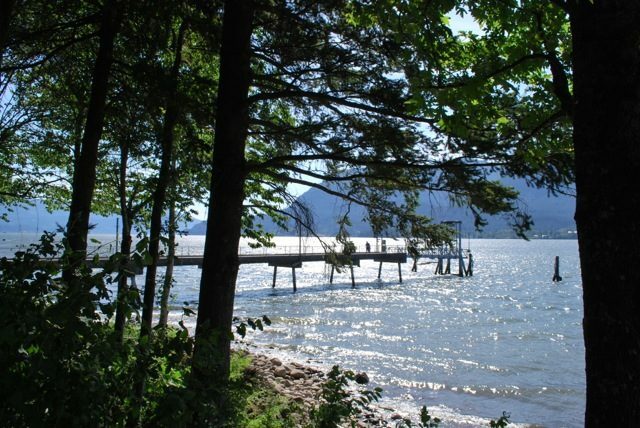 For over a decade the city of Cascade Locks in the Columbia River Gorge has wanted to rebuild the entrance to their marquee destination: Marine Park. 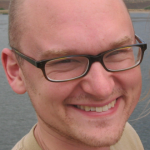 Now the project is moving forward and they want to hear what you think about the options. Quite a backdrop for bike racing. 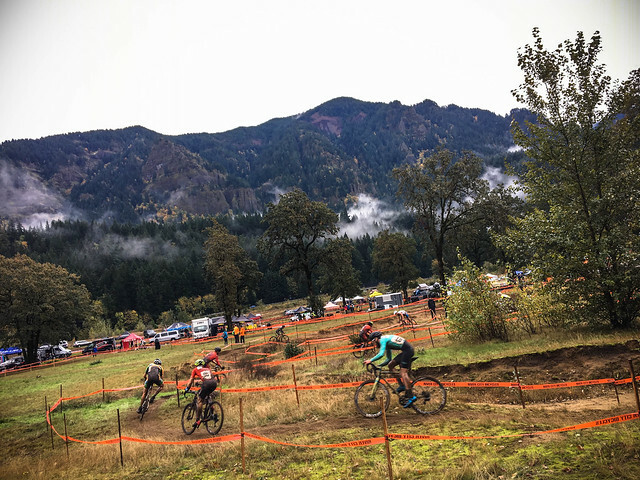 The River City Bicycles Cyclocross Crusade headed to the Columbia River Gorge for race #3 in the series with the scenic town of Cascade Locks playing host. 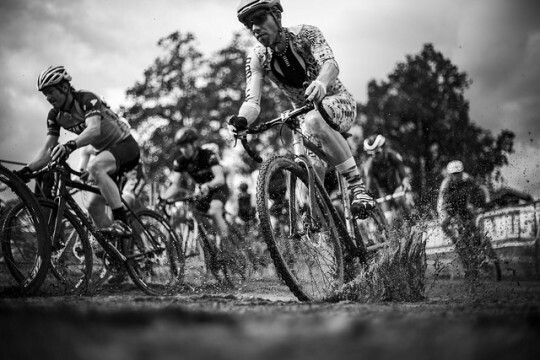 With the steep gorge cliffs on one side and the mighty Columbia on the other, hundreds of racers enjoyed an excellent day of racing despite dire storm warnings all over the news. Stevenson waterfront from the Trail of the Gods. 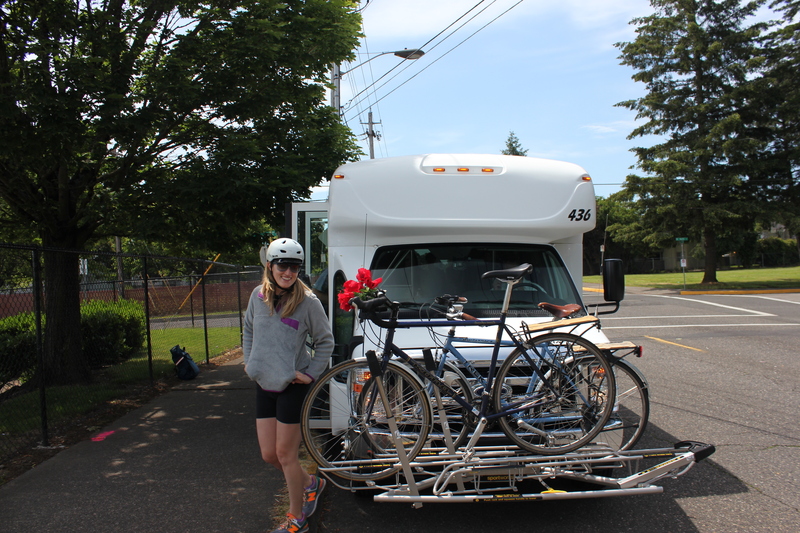 We’re excited to share a post written for BikePortland from local author Laura Foster. Foster is the woman behind many excellent guidebooks including her latest — Columbia Gorge Getaways. The post below is adapted from that book. 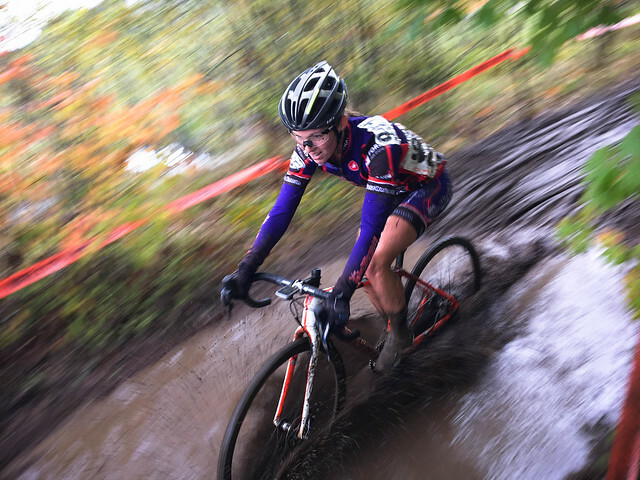 The beauty, folly, and challenge of cyclocross was in full display in Cascade Locks on Sunday. 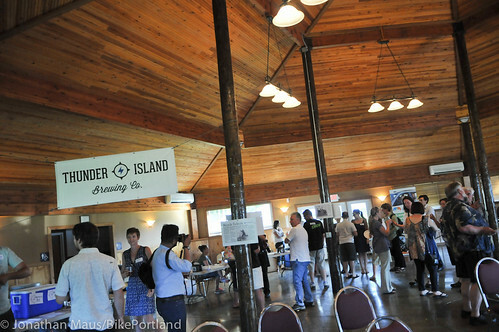 By all accounts, this weekend’s Cross Crusade event out at Cascade Locks was a huge success. Everyone I’ve talked to about it had rave reviews — not just for the usual racing and fun vibe these events have; but for the venue itself. 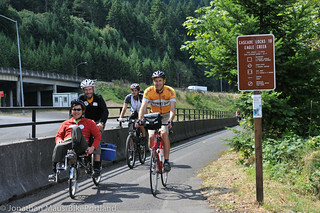 on Columbia River Highway State Trail. There’s no amount of research about the huge economic benefits of bike tourism that can compare to seeing a bit of it happen before your eyes. 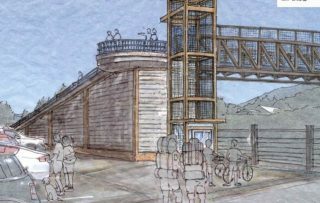 Years in the planning and opening Saturday, the new Thunder Island Brewing Company in Cascade Locks, Ore. (home of the spectacular Bonneville Dam and the Bridge of the Gods) is a Portland-grown project that’s setting out to serve tourists — especially those enjoying the newly reconnected Historic Columbia River Highway on their bikes. Some of the proposed trails.